Call me contrary if you want to, but I have a teensy bit of a problem with choosing one month out of the year and imbuing it with the sheer weight and awe-inspiring importance of an entire literary genre. “What are you on about, Porcupette Steph?” you ask. Here’s the thing. April is National Poetry Month in the USA and Canada. Now, I love me some poetry when I’m in the mood for it, so there’s no way I could choose a single month upon which to pin all of my poetic musings for the year. I mean, sure we celebrate women’s history in October, but that doesn’t stop us from talking about influential women throughout the year. February is Black History Month, but that doesn’t mean we ignore the achievements of African Canadians the rest of the year. And surely (surely!) we must consider cell phone courtesy throughout the year and not just during the month of July. Here at the Porcupine’s Quill, pretty much every month is National Poetry Month! But that being said, we do appreciate the idea of raising awareness and getting a critical mass of promotion out there in the wide world. There’s something inspiring about working in concert with the wider poetry community to accomplish something bigger than ourselves. In keeping, we’ll be doing all our regular poetry promotions, plus a little extra to get in the NPM spirit. Follow along on Twitter and Facebook as we publish a #PQLPoemADay—cool (and shareable!) little poetry snippets from our various awesome titles. We’ll also be holding an awesome poetry book bundle giveaway, so keep your eyes peeled in your inbox and on the blog for details. 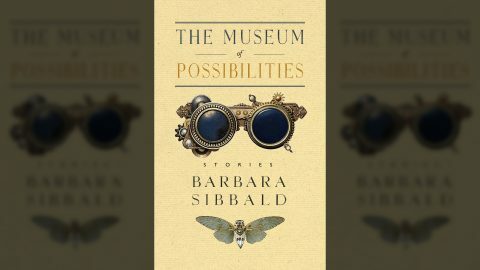 I’m pleased and proud to report that Barbara Sibbald’s The Museum of Possibilities is now available in print and digital formats. Ain’t she a beaut? Next up on the press is Daddy Hall, which we’ll be printing in the next couple of weeks in the lead-up to the Grimsby Wayzgoose. We’ve got two exciting events for you this month at the Grimsby Public Art Gallery. First up, we have Leon Rooke and Tony Calzetta’s Fabulous Fictions & Peculiar Practices on display. The exhibition will contain the spectacular limited edition livre d’artiste, so be sure to visit. The opening reception will be held on April 9, but the exhibition will run until May 21. We’ll back in Grimsby on April 22 for the annual Wayzgoose. This is one of my favourite events in which printers, bookbinders, papermakers and book arts enthusiasts gather together to display their wares and talk about all manner of bookish subjects. We’ll be manning a table with a selection of our own beautiful books. Come say hi! Dysphoria author Shane Neilson will be participating in the Pivot Reading Series on April 19 at The Steady in Toronto. Also featured are Kevin Connolly, Erin Robinsong and Rebecca Rosenblum. Barbara Sibbald will be launching her collection of short stories, The Museum of Possibilities, at Pressed in Ottawa. You’ll get to hear a few snippets from the book and meet the author herself. Books will be available for purchase—be sure to get your copy signed! Shane Neilson will be reading from his new book of poetry, Dysphoria, in a special event co-produced with McNally Robinson Grant Park and Contemporary Verse 2. He’ll be joined by guest Maurice Mierau and Lori Cayer for an evening of fascinating poetry. April 15 is Rubber Eraser Day. Just think about all of the mistakes that would go uncorrected without those bad boys. April 23 is Take a Chance Day. Authors—may we suggest taking a chance and sending out that query to an agent or publisher. You might just get good news! 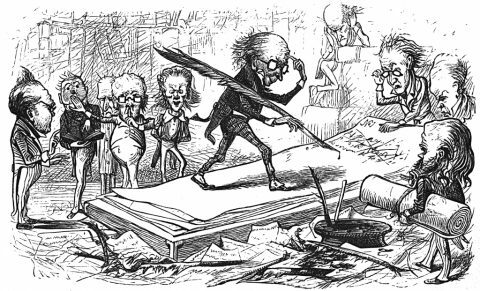 We are approaching a time of great angst for me: grant application time. The most notable culprit in raising my blood pressure at this particular moment is the Canada Council, whose New Funding Model is officially slated to start taking 2017 applications very soon. What will this mean for us? How will it work? Well, at this point I don’t know. I live in hope for a simplified process and excellent results. But for the sake of caution, I’m going to make sure all of our bases are covered. Thank you one and all for stopping in to see what grand plans we have in store for you this April. We hope to see you at some of these fun bookish events in the near future! This entry was posted in Letters from the Porcupette (the Intern's Blog) and tagged Barbara Sibbald, Daddy Hall, Dysphoria, Fabulous Fictions, grant applications, Leon Rooke, National Poetry Month, shane neilson, The Museum of Possibilities, Tony Calzetta, Tony Miller, wayzgoose. Bookmark the permalink.